AirTight: Wonderng where these terms came from? Wonderng where these terms came from? Over the years, many people have had similar questions to common thoughts. During my 30 plus years, I have catalogued many of these. Seems to be a great time to start eking them out, summer is here and the mighty HVAC industry roars! Ø Why is it that I hear people talking about how many “Tons” their HVAC unit is? Is it that heavy, does a 3 ton system really weigh 6,000 lbs? ü A ton of refrigeration is approximately equal to the cooling power of one ton (2,000 lbs.) of ice melting in a 24-hour period. The value is defined as 12,000 BTU per hour, or 3517 watts. Ø What is the part of the A/C system that sits on the roof and/or behind my house in the shrubbery? ü It is the Condensing Unit with the Condenser Coil within the cabinet. 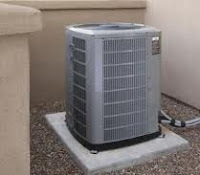 A condenser coil is one means of heat rejection commonly used in an air conditioning system. It is typically located on an outdoor pad or on a rooftop and looks like an automobile radiator in a cabinet. 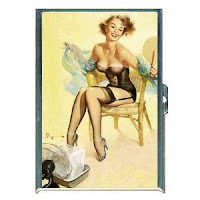 It is usually hot to the touch (120°F / 49°C) during normal use. Its function is to transfer heat energy from the refrigerant to the cooler surrounding (usually outdoor) environment. Yes, even when it is 100 degrees outside, it is still cooler than the refrigerant that is circulating with the tubing. The more commercially related Dry Cooler or Fluid Cooler serves the same purpose of heat rejection and physically appears similar, with the difference that the condenser coil uses hot refrigerant which changes from a gas to liquid as it move through the coil, whereas the Fluid Cooler uses hot liquid such as water or a water-glycol mix. 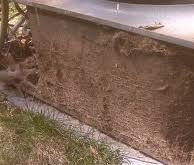 These coils typically require an annual cleaning with water and/or a solution, determined by the particular manufacturer. This cleaning will keep the heat exchange rate within normal limits, thus saving energy consumption, therefore power and keep the system cooling at optimum levels. This cleaning should always a part of your Preventive Maintenance program. I have visited your website which was really good, and now can see you have posted amazingly about Modular Air Handling Unit supplying and manufacturing in India.